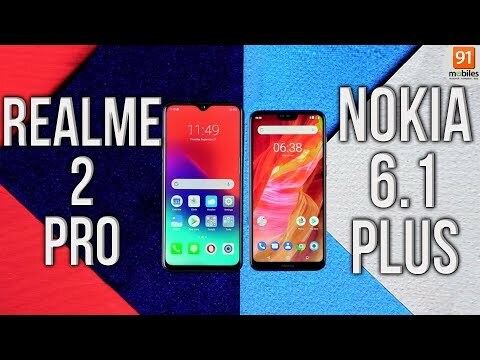 If you own Realme 2 Pro 6GB RAM, please do leave your feedback too. Lowest price of Realme 2 Pro 6GB RAM price in India starts at Rs. 13,990 Realme 2 Pro 6GB RAM is available on Flipkart at Rs. 13,990. Prices updated on 20th April 2019. Under the hood, the Realme 2 Pro houses a Qualcomm Snapdragon 660 chipset. The device packs 6GB RAM and offers 64GB internal memory. The storage can be expanded with the dedicated microSD card slot provided. There is a Adreno 512 GPU onboard. The Realme 2 Pro runs on Android 8.1 Oreo OS with Oppo’s proprietary ColorOS skinned on the top.